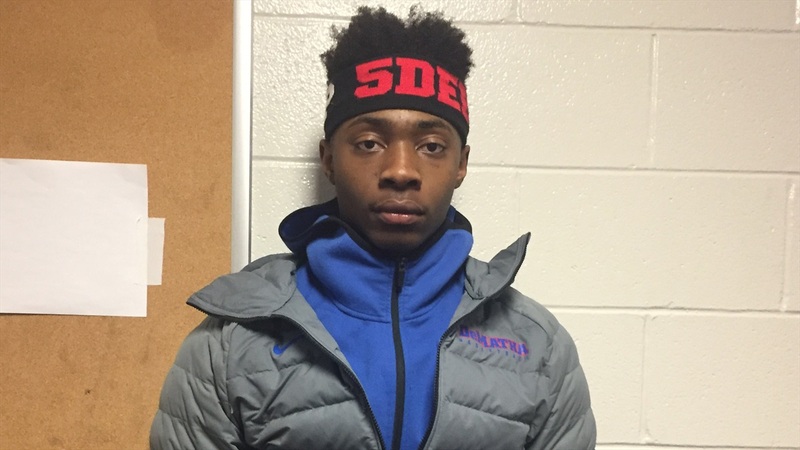 DeMatha Catholic couldn’t get much going during its 70-53 loss to #1 La Lumiere at the HoopHall Classic at Springfield College last month, but guard Earl Timberlake fought hard throughout. With the game already decided, Timberlake went up for a thunderous dunk attempt over 2019 five-star center Isaiah Stewart, but saw it come off the back iron. The 2020 Maryland prospect has dozens of offers from programs like Maryland, West Virginia, Providence, Seton Hall, Clemson, Florida, Georgetown, Ohio State, Oklahoma State, Pitt and Wake Forest among others. Notre Dame hasn’t offered yet, but has shown interest. Timberlake has kept in touch with Harvey, another former DeMatha alum in South Bend. As Timberlake looks into Notre Dame more, he’ll be interested in learning more about the education. “Are they strong in my major, sports medicine?” he said. Timberlake took an official visit to Providence back in November. “It was nice,” he said. “They showed me a lot of love there and showed me that I’m a priority for them. He doesn’t have a timeline for a final decision.